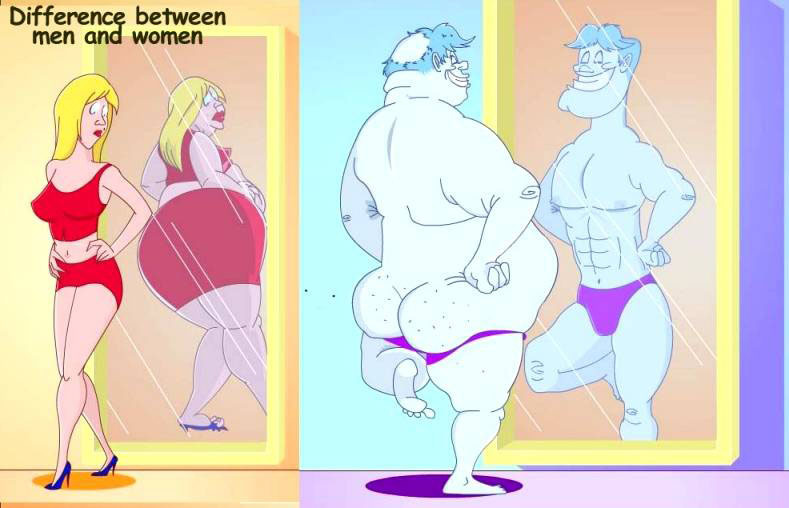 This amusing sketch accurately portrays the different ways in which men and women perceive themselves. Created about 14 yrs, 9 mths ago (July 1, 2004). Updated about 8 yrs, 3 mths ago (January 6, 2011).